The last three Marvel movies were my favorites and some of the best examples of the superhero genre. The last two, Black Panther and the Avengers: Infinity Wars, really took things to a new level beating out Spawn for its special place in my heart. The stories were compelling, the action engaging, but more than anything, these are my favorites because they allow for some real critical thought. I’m hard-pressed to think of another superhero film, or any film in the broad spectrum of blockbusters, where it was possible for audience members to come away with diverging experiences. Usually, we’re all strapped in for the same emotional rollercoaster laughing, gasping, and crying on cue, but with these films, it’s possible to feel something rare: sympathy for the villain. With Thanos and Warmonger, Marvel delivered two of the best antagonists of the current wave of superhero films. They were driven by personal, righteous causes that the audience was meant to sympathize with. They weren’t out to cause chaos and destruction purely for their own sake. They craved power for the good they could do with; Thanos to avert an impending disaster life creates for itself by imbalanced consumption, and Warmonger to stop the injustices faced by the African diaspora. However, rather than bringing balance and equality to the people of the world, Warmonger wanted to just flip the script and put his people in control, so between the two of them Thanos’ cause is more sympathetic, so he’ll be the focus of this piece. It has now been over two months since Avengers came out, and four for Black Panther, so if you don’t know what happens in the movies, that’s on you. By the rules of all polite societies, it’s been long enough that spoilers can be freely talked about. Hell, it’s even been enough time for the subreddit r/thanosdidnothingwrong to gain almost 100K followers. Still, here’s your chance to turn back. 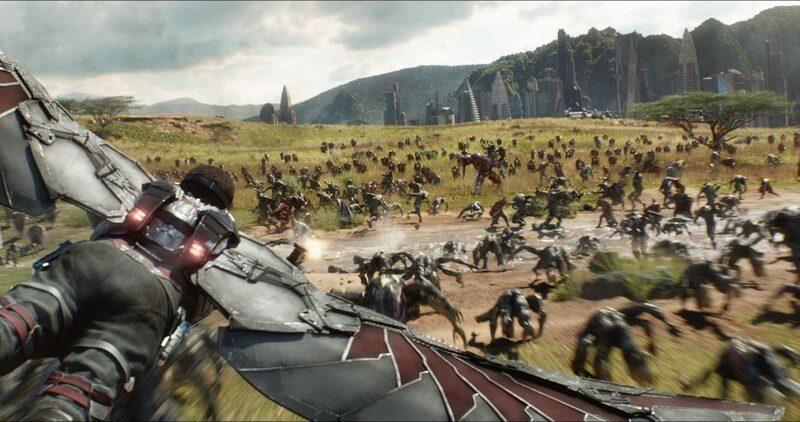 Screen capture from Marvel’s “Avengers: Infinity War” (2018) available at Marvel Studio News. For the first time in a while the main villain of in a superhero movie unquestionable won (Surthur got to bring about Ragnarok but he wasn’t the main villain; in another universe, Ozymandias reached his goal of world peace, but it isn’t expected to last). Throughout the film, Thanos makes his final push to gather the Infinity Stones. Just before the end, he gets his gauntlet on all six and finally makes his dream come true, killing half of all sentient life in the galaxy. Everyone not protected by theirs magically profitable status as an original Avenger was given a 50/50 chance of blowing away like dust on the wind. As any fan of comics will tell you, death is only a temporary set back for most heroes so I’m still looking forward to Black Panther and Spider-man sequels. I’m also expecting Marvel to keep to the high bar they’ve set for themselves with future villains. In Thanos, I see a villain I can almost agree with. Let me just say I don’t think his plan is in anyway a solution to the problems we face in the real world that have broadly been blamed on “overpopulation” or capitalism since those would largely be alleviated by reigning in greed, and properly managing resource distribution. But Thanos doesn’t exist in the real world and in his world, his solution works, despite being the bad guy. Superheroes tend to focus on solving the problem immediately at hand, which tends to be saving the lives of those in danger right now. 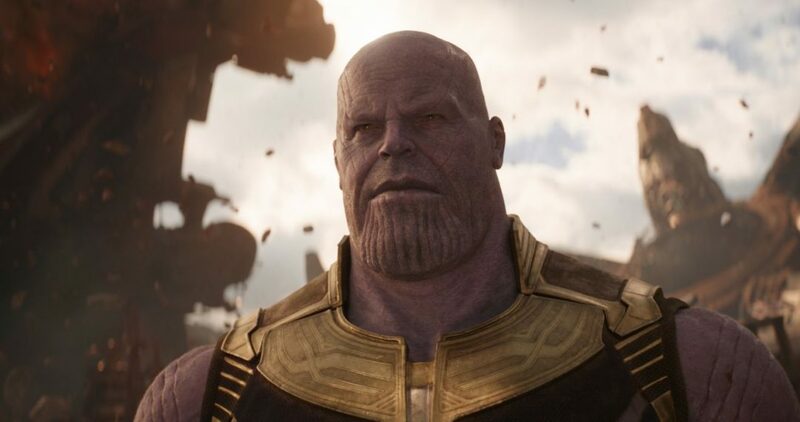 Thanos is thinking on a larger time-scale, and not without reason. He didn’t start out wanting to kill half of everyone. When he saw the path his planet was heading towards to tried to warn those in charge. He had to then watch his planet die when they didn’t listen to his advice. That’s what put him on the path of taking matters into his own hands, and successfully so. He mentions how Gamora’s planet was once in so much poverty that much of its population was left to starve to death, but following his culling, it is now flourishing. I don’t think there’s any suggestion he’s lying when he tells Gamora this. I feel the film’s presentation of Thanos’ motivation, as just preventing population growth from exceeding a level sustainable level, as a simplification driven by the fact that Hollywood isn’t really one to blatantly critique the systemic flaws in our society and generally thinks the mass audience is dumber than it is. If you accept the commonly used definition of crazy as doing the same thing over and over again expecting to get different results, then superheroes are crazier than the villains they fight, and ultimately cause more suffering. Most heroes don’t kill if they can avoid it (Thanos wouldn’t have won had the Avengers just killed one android). Instead of death, villains can expect to be placed in some form of containment be it in prison, an asylum, or another dimension. Much like how death cannot keep a profitable hero down, neither can any villain be permanently contained. They inevitably escape to wreak havoc yet again. Thanos, on the other hand, offered a permanent fix, then promptly retired. The thing about Thanos is he’s a bad guy for the right reasons. Killing half the population of the universe is, of course, traumatic, but trauma induces change. If life across the universe consistently develops in a way that eventually kills itself, then change is necessary. Doctor Stranger saw 14 million futures and still decided it was worth it to give Thanos the Time Stone knowing exactly what it would mean. It could be that ultimately Thanos was right, or more likely that Captain Marvel will be able to undo everything, but the fact that it’s possible to at least for a moment consider that maybe the bad guy has a point is a nice change of pace.